Have you ever looked at a favourite book or magazine and thought "I wonder where that is?" I have, often. So it was, with rather a large dose of excitement, I sqwuaked "That's our buttercup field!" when I saw a preview of Selina Lake's new book featured in last weekend's YOU magazine. 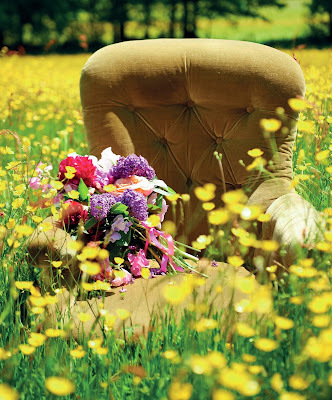 That old velvet chair has never looked so good! 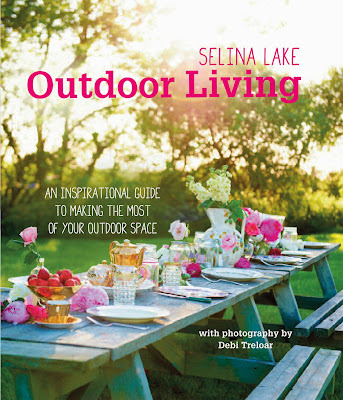 One fairytale kind of day, last May, Selina Lake and Debi Treloar came to begin shooting for Selina's new book Outdoor Living. I say a fairytale kind of day as the light was amazing, shimmering and I have long admired both Selina and Debi's work, so it was a genuine thrill to meet them! Selina's car was brimful with gorgeous props and flowers and the lovely Jess! I am visualising the ridiculous sight of my landrover trundling up The Lane with a large pine dining table dangling out of the back whilst Jess wrestled with it in order to keep it on board! We were heading for the buttercup meadow which sits further up The Lane. 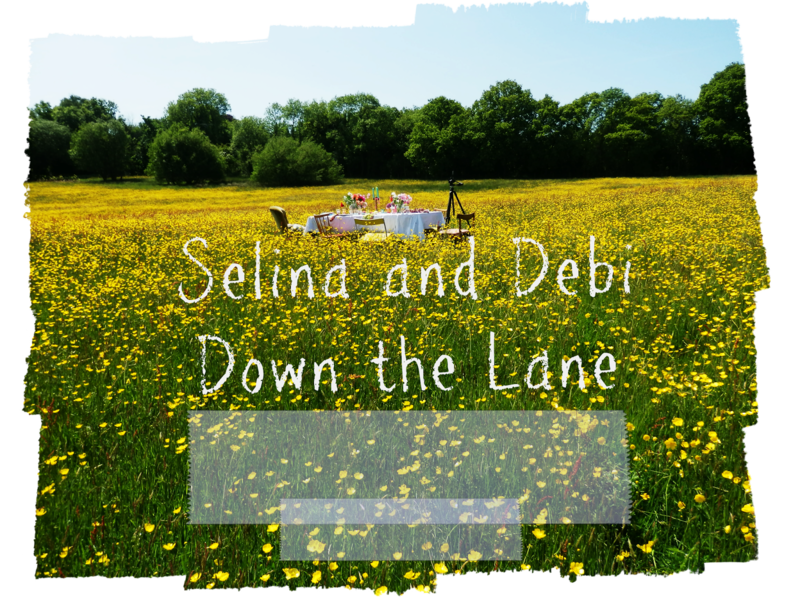 Selina conjured up a gorgeous tablescape...Debi got to work and the whole scene is now immortalised in Outdoor Living. The sofa that lives in the Cowshed (Don't ask!) found its way outdoors, Selina Layered it with crochet and cushions, mini lampshades were hung in the trees, it looked so inviting, the perfect reading spot...I sat there long into the evening...until Mr. Lane helpfully pronounced that the dew was settling and soggy sofa was not the way forward! My home is a visual history. Every object however shabby and unlikely has a past known to me.Every granny square, whether hand stitched by Magpie for my dolls when I was small or squirreled from a junk shop or scored by my MIL from Mawnan Smith Craft Fair in the gaudiest colours she could find! ( Totally against her nature but knowing I would adore the clash!) 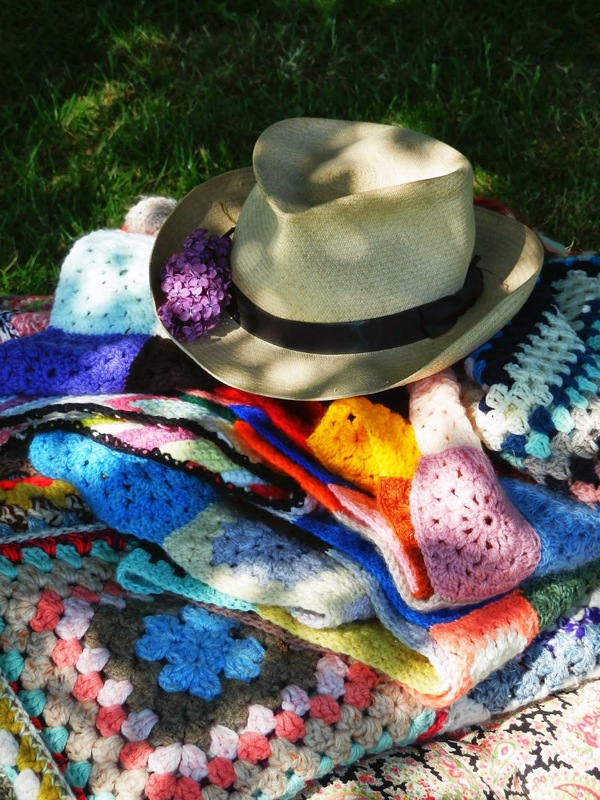 Old quilts and Grandpa's hat...kept and past on by the women folk. Seems most appropriate to be musing on these things on Mother's Day. No surprise then, when I tell you that two brand new books are wrapped and waiting to be given to the Magpie and the MIL. Where and what would I be without you? Sending you and all Mum's golden cross stitches, arm-fulls of buttercups...threads of love, sewn kisses. In case you were wondering the lovely cushions on my sofa are a mixture of Cottage Industry and Cath Kidston. The gorgeous mini lampshades were made by Folly & Glee. I remember the buttercups in England, gorgeous creamy yellow!!! What an incredibly exciting day that must have been! And to have it all caught on camera and in a book forever and forever! Love those lampshades and the sofa looks so inviting. How fabulous for you great photos.